Who loves to have a nose into peoples homes?! 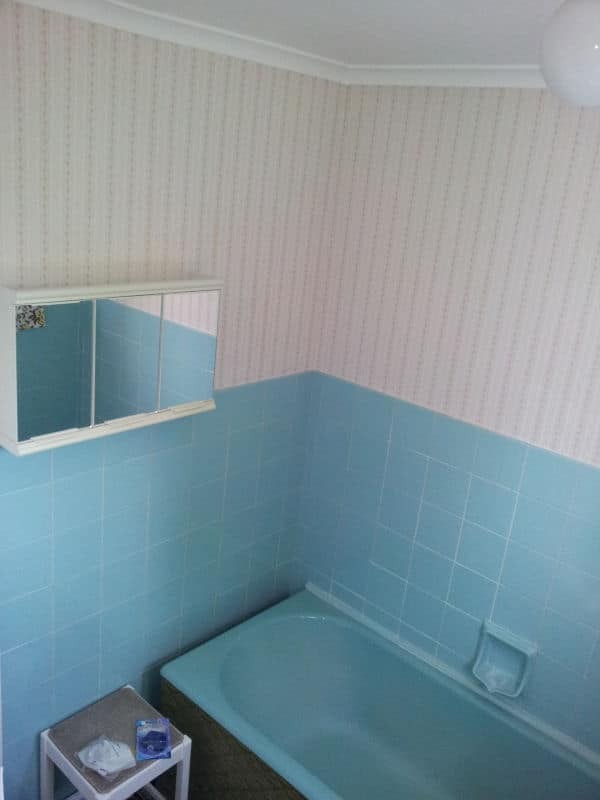 I love looking at Rightmove, watching what properties are coming on the market and to see everyone’s decor ideas. 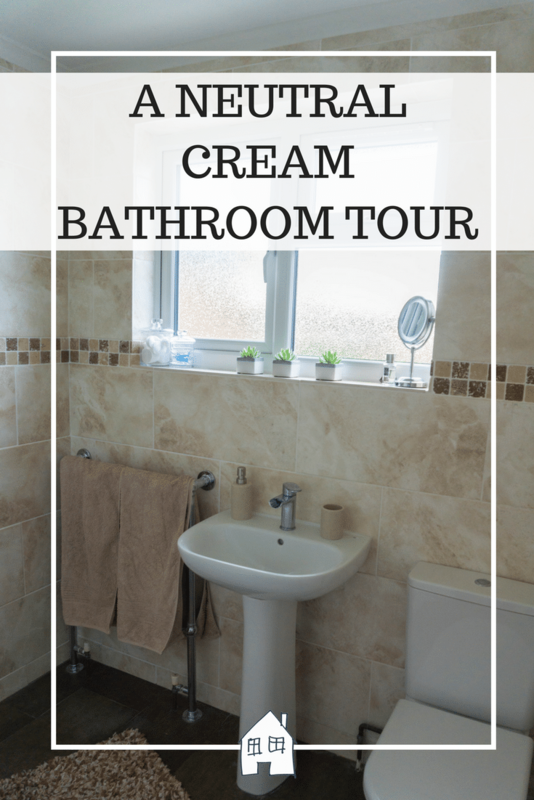 Being a home blogger I love to share what we have been up to inside our home with you guys, so today I am giving you a little bathroom tour. 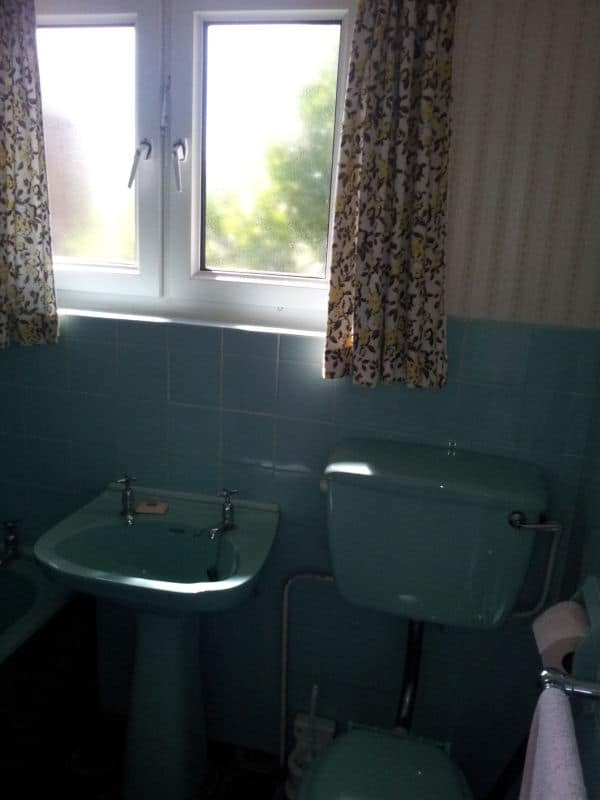 When we moved into our home 5 years ago it was very much stuck in the 1960’s, with the original bathroom suite in, Turquoise! I wish I had some better photos than these, but I didn’t have a clue what I was doing then! After a year of only having baths…..which I don’t have a clue how 5 of us managed that for that long, we got rid of it. It was done on a very small budget, as we hadn’t planned to do this room yet. I purchased my best ever bargain, my sink for £3 from eBay! It cost me about £200 to do everything, tiling, flooring, and shower unit. I loved it and was so impressed with how well we did. Me and hubby tiled it together, I really enjoyed it. It’s been done 4 years now, and it is still looking great, however you can always improve a space and give it a little spruce up! Bairstow Eves challenged me to spruce up a room of my choice, and to join in with their Styled to Sell. 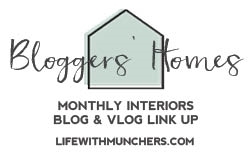 They’ve teamed up with some great interior bloggers who have shared their tips on how to style their home to make it sell well. I’m not planning on selling my home, well not unless someone gives me a nice cash boost to buy that nice detached house I have my eye on! However I am always happy to style up my home, and give it a little change. So I decided to take a few of Caro from Twinkle Diaries tips on and spruce up my bathroom. Take a look at her tips on the blog post, and video she shared. 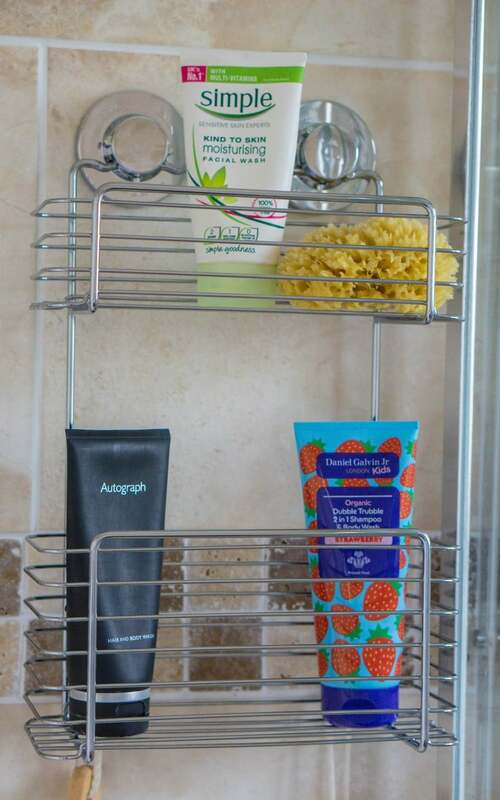 I thought I would give you a little tour of the bathroom too as well as featuring some suggestions from the Styled to Sell challenge. 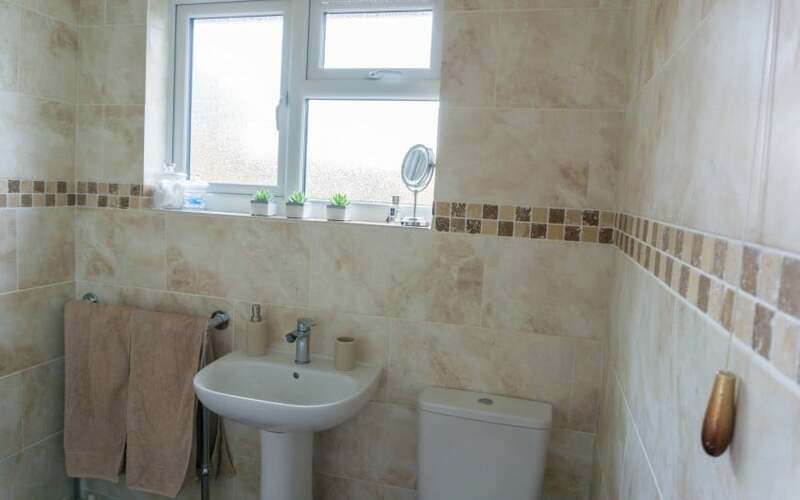 So as you walk in through the door you are greeted by this view, a window looking out over the back garden, toilet, sink, and towel radiator. Around to the left is my corner shower cubicle. As you can see it is a very neutral colour scheme, with light tiling, clean lines, uncluttered and the colour scheme isn’t too fussy. As Caro suggests, this is the perfect colour scheme for styling a room and selling. Buyers aren’t put off by the room being too personal, and can imagine their own items within the room. 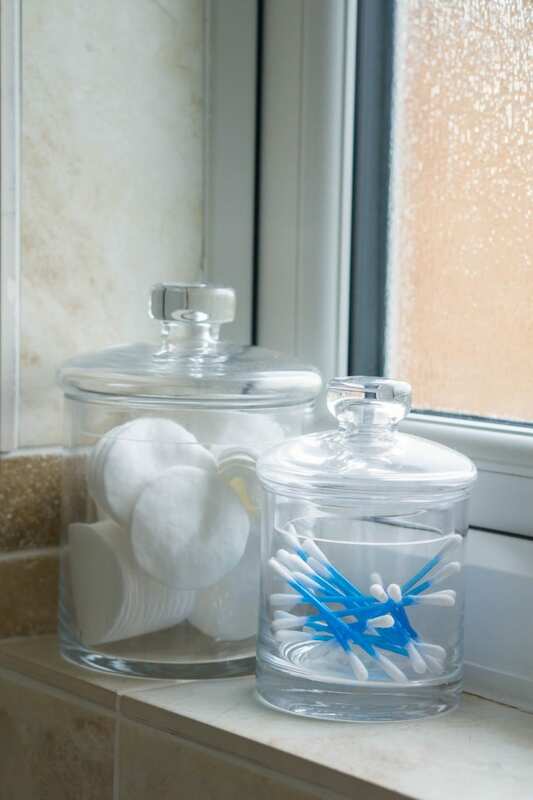 Caro chats about adding in storage with little glass jars, I purchased two glass jars to hold cotton buds and cotton pads. I love the look of these, and they fit perfectly on the window sil. 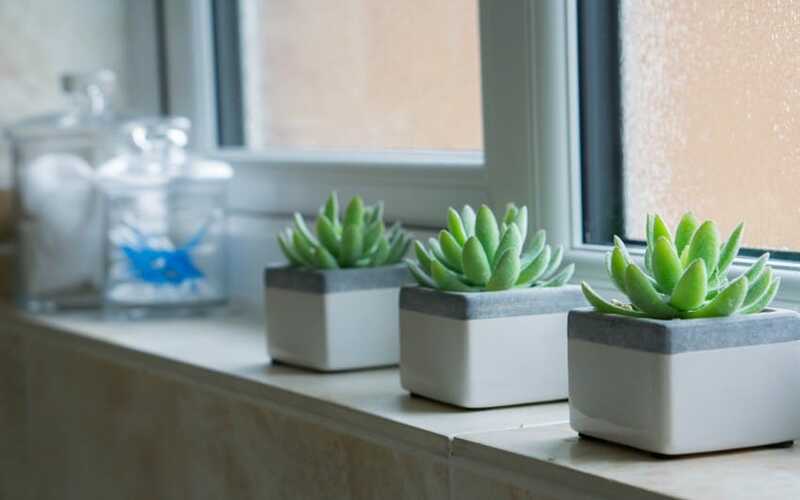 Also adding in plants to the room give the room a splash of colour, however I am not very good at watering plants, so I placed three artificial plants to place in a little line. 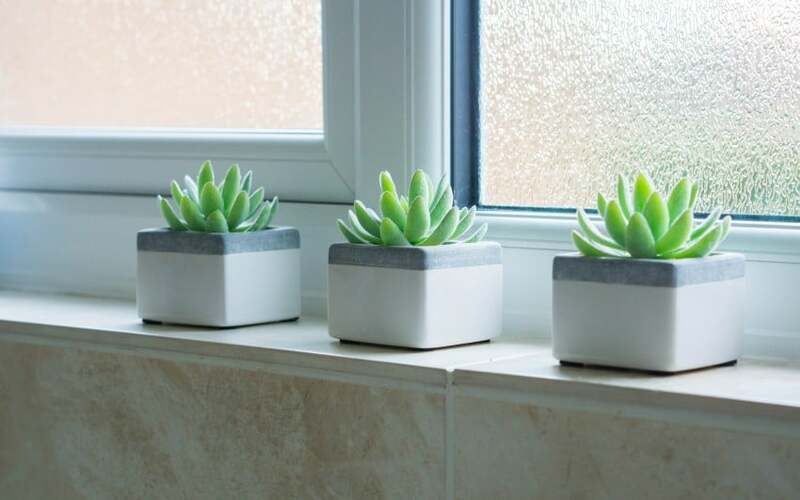 I loved these, they are only £6 each and are really sturdy little plants. 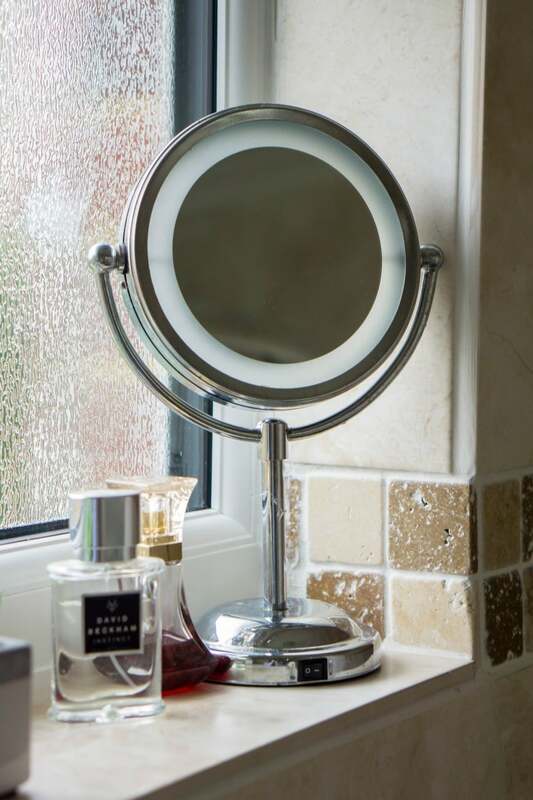 I have a little magnifying mirror with a light on for hubby to shave over the sink, you could easily add a larger mirror on the wall to help bounce light around. Also keeping a couple of perfume bottles in the room make it quick and easy to have a spray in the morning, they are also pretty too. 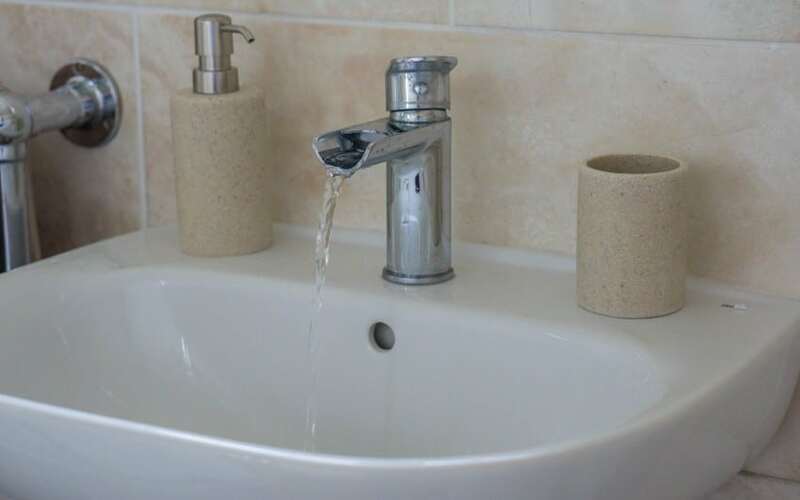 I have always wanted a waterfall tap in my bathroom, I love the look and so do the kids! Placed on the sink I purchased a tumbler for drinking water, or placing toothbrushes in. Instead of having the plastic shop purchased handwash bottle sitting out on the side, have a matching pump bottle to pour it into. Also great as it doesn’t matter how cheap your handwash is then, nobody will know! I also have a thing with all the bottles sat on the bottom of the shower tray, it bugs me so much, causes more build up of damp, mould and you have to move them all to clean each time. So I purchased a shower tidy, I haven’t ever had one of these before but I didn’t want to drill into the tiles. 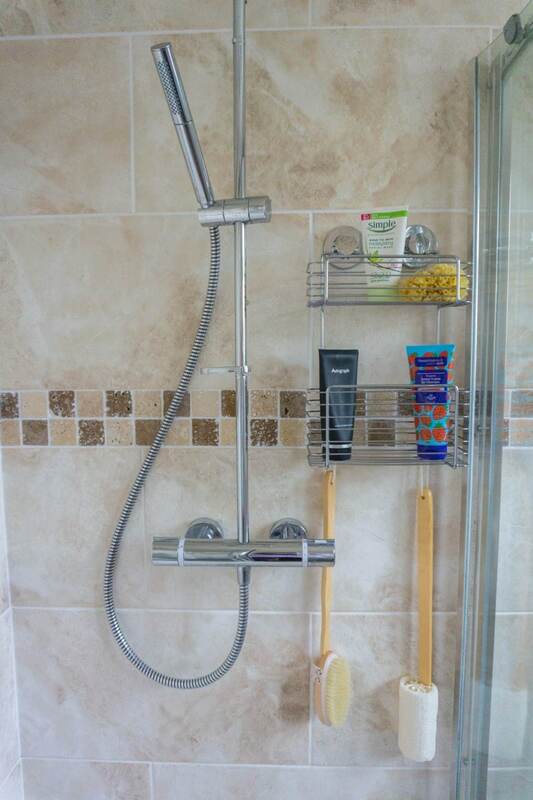 So this Bliss Lock N Roll shower tidy is perfect for us. I can place all the items in there, looks nicer and I can even hang things from it too! 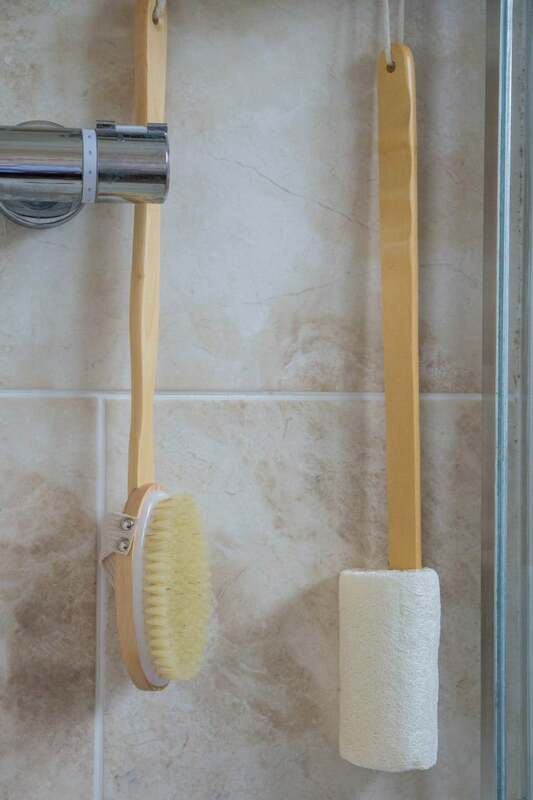 Talking of that, I think it is always nice to give yourself a bit of extra treatment so I picked up a loofah, a natural sponge and body brush to stay on top of my skin over the winter. We always think about it come spring, but I am going to try to look after myself over the winter too. My shower unit came as a package, I purchased it on eBay for about £80 and collected it locally from us. 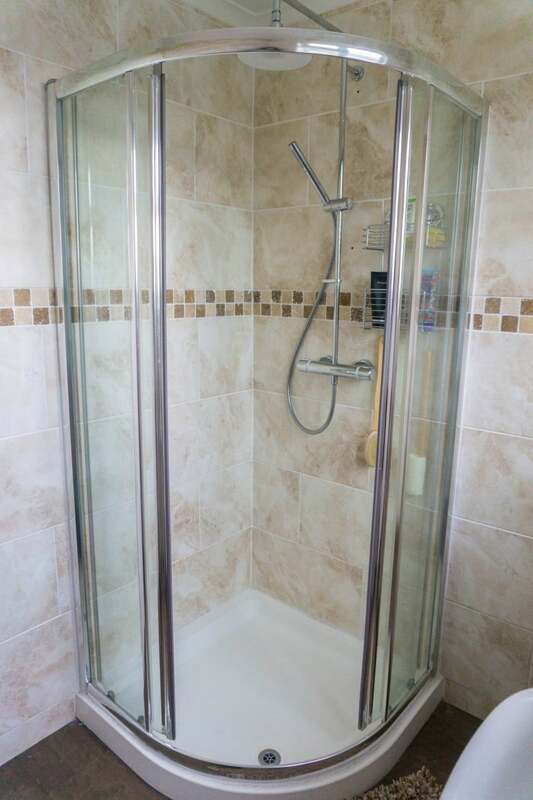 As you can see we got rid of the bath, this space isn’t big and we preferred to have a larger walk in shower. As a family this has worked so well for us, it isn’t for everyone though. My shower is pure luxury though, it plays music out of it!! The tiles are large, and from floor to ceiling. I think this gives a really luxury look to the room, easy to clean, maintain and no worries of flaky paint problems. These tiles were from Topps Tiles, and cost us nothing! 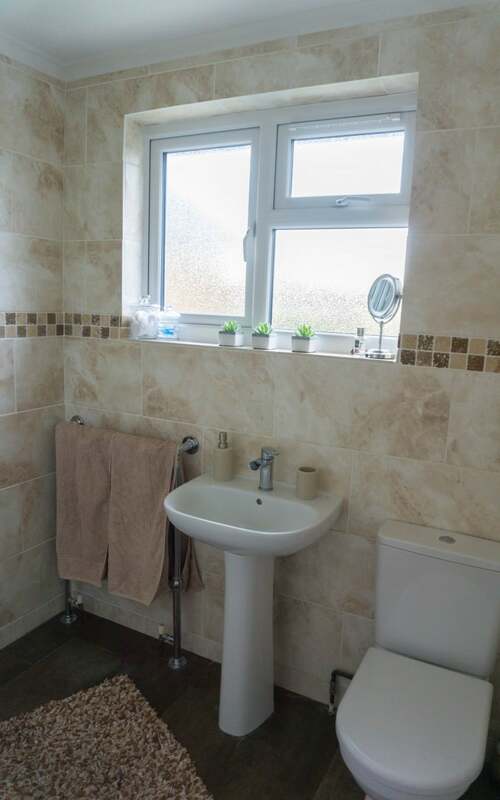 At the time Tesco worked with Topps Tiles on their clubcard deals, so we used about £600 worth of vouchers, purchased all the tiles for the room and the travertine mosaic tiles. You may have noticed the flooring, the colour isn’t your normal colour choice I don’t think. I wanted something darker to tie in with the little mosaic tiles. I choose Amtico tiles, which are luxury vinyl tiles. Super great quality, much stronger than vinyl, hard wearing and still look just as good after 4 years of wear. So I hope you like my bathroom, and enjoyed having a nosy! Thanks to Bairstow Eves and the interior bloggers for sharing some great ideas for styling your home. They have shared lots of ideas from different rooms, so if you’re looking at sprucing up your home go and check them out. *Collaborative Post – I was given a voucher to purchase some items for our bathroom. Everything works so well here! And a shower that plays music has just blown everyone’s minds! What a transformation. It looks fab sure it will sell ! Your bathroom looks so cozy I want to live there. Nicely done! 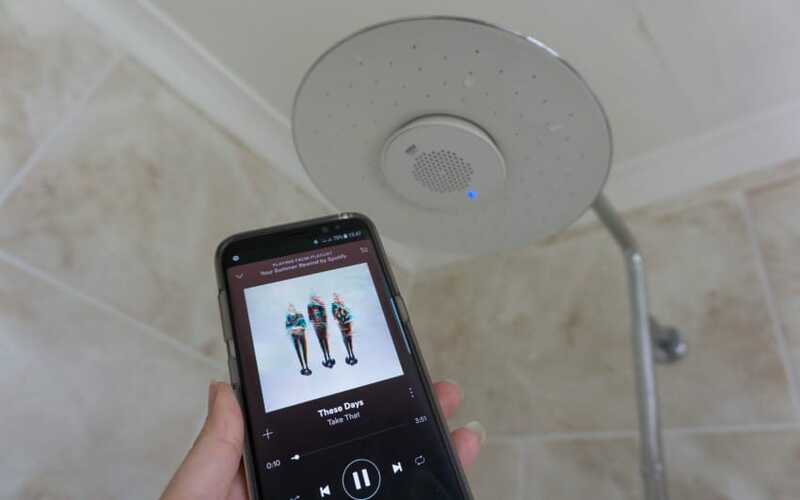 THE SHOWER PLAYS MUSIC!? Oh my god. I need that in my life. Your bathroom looks gorgeous – fresh and beautiful. Love the succulents. Super tips and this looks great. I especially love the tip about keeping it neutral and tidy so that potential buyers can imagine their own style and life there. I love a nosey too! What a transformation and your shower plays music? That’s my shower of dreams! Oh I love the changes you have made, the greenery makes a huge difference to a room! I do love to snoop around people’s homes! The bathroom looks great, and the little stylistic additions really pull out all together. You’ve created a beautiful bathroom and you’d never guess it was all done on such a budget! I love it, those small changes have freshened it all up! My husband would be so jealous of that shower! What a lovely refresh I love the tiles and all the small features really make a big difference!